So far flavien has created 5 blog entries. 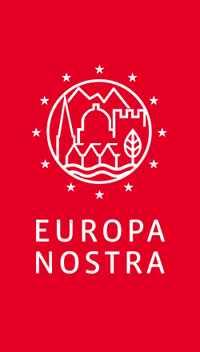 Laureate of the European Union Prize for Cultural Heritage / Europa Nostra Award 2018, category « Research », the EPICO programme picks up the Grand Prix Europa Nostra Award 2018 on 22nd June 2018 in Berlin. Laureate of the European Union Prize for Cultural Heritage / Europa Nostra Award 2018, the restauration of the Botanical Garden of the National Palace of Queluz also wins the Public Choice Award. The restauration of the Royal Vineyard at Potsdam-Sanssouci, owned by the Prussian Palaces and Gardens Foundation Berlin-Brandenburg (SPSG), wins the European Union Prize for Cultural Heritage / Europa Nostra Award 2018 in the category “Conservation”.